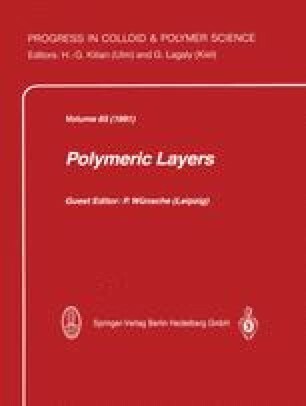 A computer simulation model has been extended to discuss a special crystallization event in thin oriented polymer films, subjected to a current shearing at simultaneous quenching. Supposing in the model at first an isotrope defect distribution in a highly extensional strained system, the development of this distribution as a result of a spinodal decomposition process has been computed. Especially the assumption of a shift of chains against each other in the direction of orientation affecting the process of defect migration and collection has been included in the model. The computed time-dependent structure factor S(k,t) seems to be able to indicate influences of chain movements at the development of the defect morphology. By that it should be possible to state introducing as perturbation a chain shift the defect collection will be strong affected. This is compared to a sudden rupture of the formation of fibrillar structures changing slightly the preparation conditions.